Bring Back Fond Memories as You’re Making New Ones! Evoke simpler times with this nostalgic wall hanging. A vintage station wagon with a tree on top cruises through a snowy landscape on its way home to hot chocolate and tree trimming. 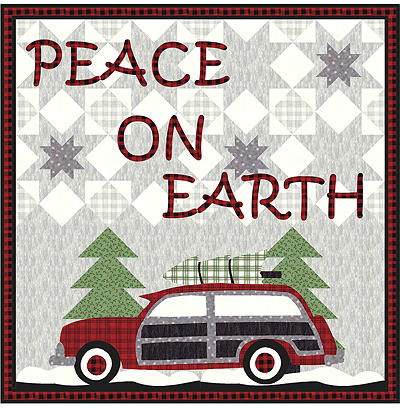 Pieced stars in the background make us think of snow, while the fusible appliqued car and letters finish out the design. Not only will this quilt set a holiday mood but it also expresses a sentiment we all wish for. It’s a charming piece you’ll enjoy displaying during the holidays year after year. It’s also easy to create. Choose fabrics you love and have fun with this project. The finished quilt is 51″ x 51″. 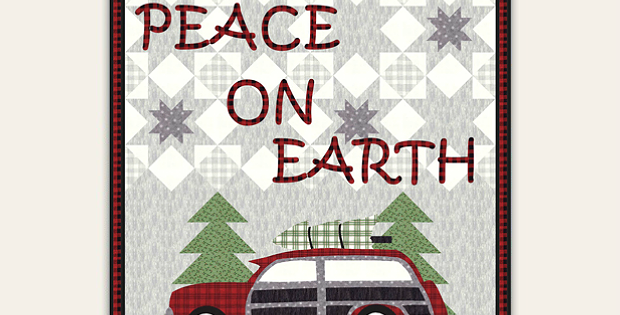 Click here to purchase the “Peace on Earth” wall hanging pattern.